The Governor of the Reserve Bank of Fiji Ariff Ali says that there are some estimates that for Fiji, the Medium, Small and Micro Enterprises accounts for around 60% of employment as everyone cannot be employed in the formal sector. He made the comments at the recent 2017 National Microfinance Awards. The Governor says by allowing people to help create employment opportunities for themselves, they are effectively contributing towards reducing poverty and increasing standards of living. 19 awards were given at 2017 National Microfinance Awards. There were four categories for the award. 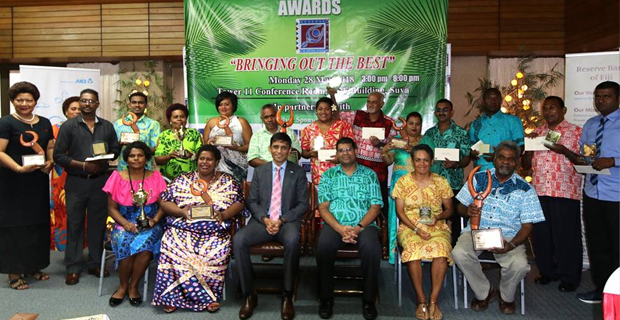 While officiating at the awards, the Permanent Secretary for the Permanent Secretary for Industry, Trade and Tourism Shaheen Ali says that one of the important objectives of the Fijian Government is to see local enterprise grow and their contribution to the Fijian economy is vital.